This bold, original dark comedy by RedCape Theatre is about the power of the Heimlich manoeuvre, the call of the open road, and the kind of friendship you’d take a bullet for. Two women pack a car with training materials and medical supplies and set off on a journey, leaving their ordinary lives behind and waving goodbye to darkness and disappointment in the rear view mirror. It’s just for a couple of days, then life will return to normal. But when things take an unexpected turn in a Travelodge and events spin out of control, satnavs must be re-adjusted, and Maureen and Sylvie find themselves on the road trip of a life time. 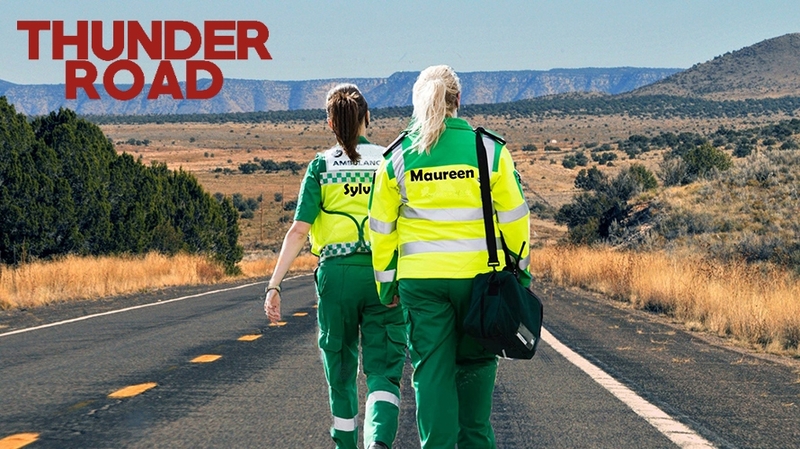 Part quintessentially British First Aid training course, part ‘Thelma and Louise’, Thunder Road tells a story like you’ve never seen before, that will ring true in your heart and make you laugh till you cry.